**Disclosure: This post contains affiliate links. I earn a small commission from Amazon.ca when someone makes a purchase using my Amazon Associate links, which helps support my blogging activities. Thank you. It would seem that the holidays have started to wind down. The company is returning home and the house is quiet once more. The fridge, however, is jam-packed with leftovers! I absolutely love leftovers and I love to get creative with them! 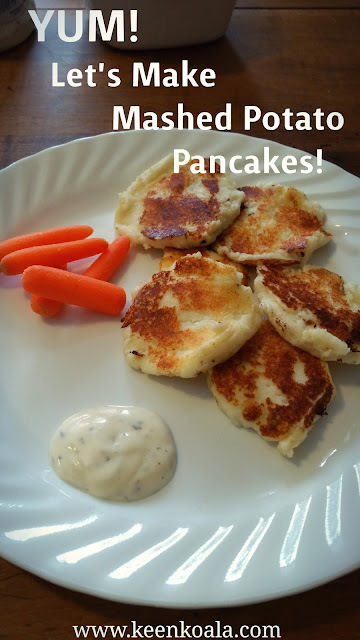 That's where my scrumptious leftover mashed potato pancakes recipe come in! The best thing about this recipe is that there's only one main ingredient, prepared mashed potatoes. My husband made the mashed potatoes this year using his very special recipe full of rich and decadent ingredients. So, for this recipe to be the tastiest, I would suggest starting with some really yummy mashed potatoes! These mashed potato pancakes are absolutely delicious. They're crispy on the outside and like fluffy velvet on the inside. They pair very well with ranch dressing or sour cream. So, let's get to why you're here today, the recipe! If your mashed potatoes were in the fridge, place them in a microwave-safe bowl and microwave them for 30 seconds to 1-minute on high. 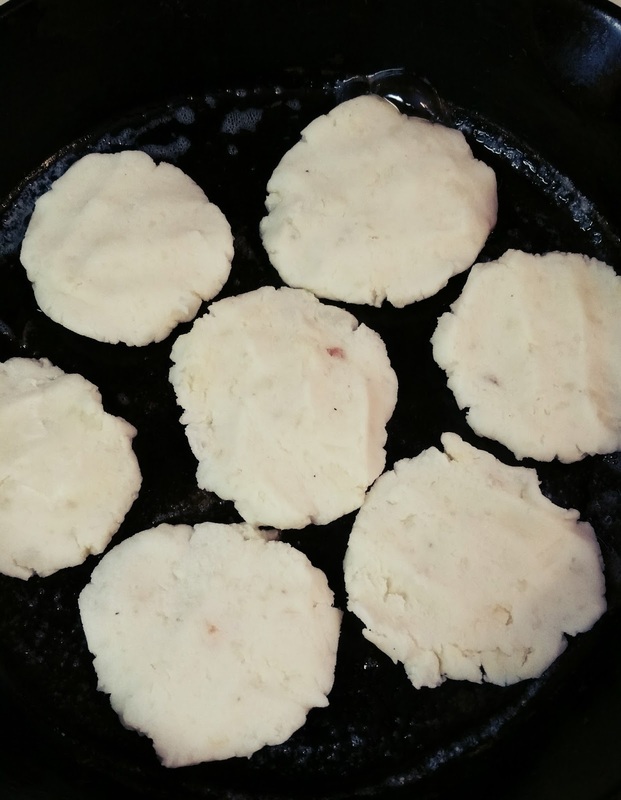 Microwaving will make the mashed potatoes stickier so they will be much easier to form into pancakes. Give them a good stir to bring out the stickiness. 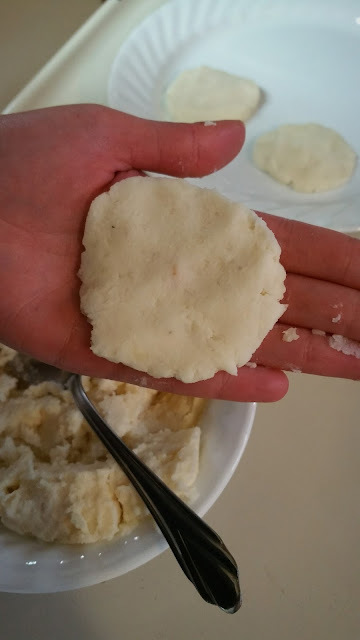 Using your hands, form the mashed potatoes into thin, palm-sized pancakes. 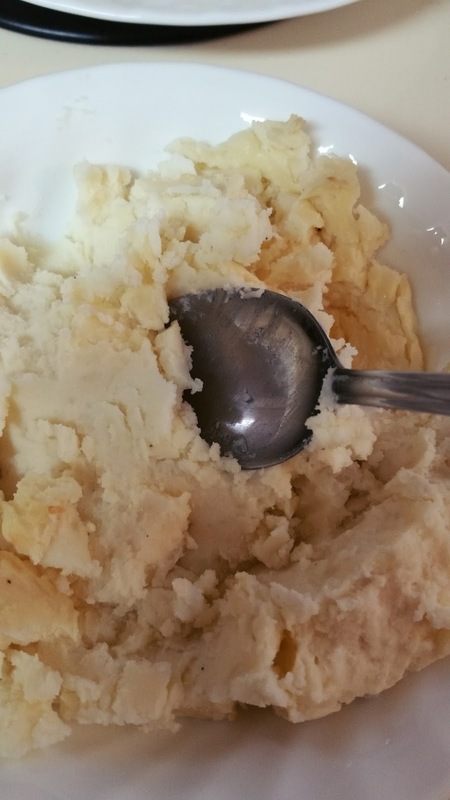 If your mashed potatoes are too dry or crumbly, add a bit of milk and stir them vigorously to make them stickier. 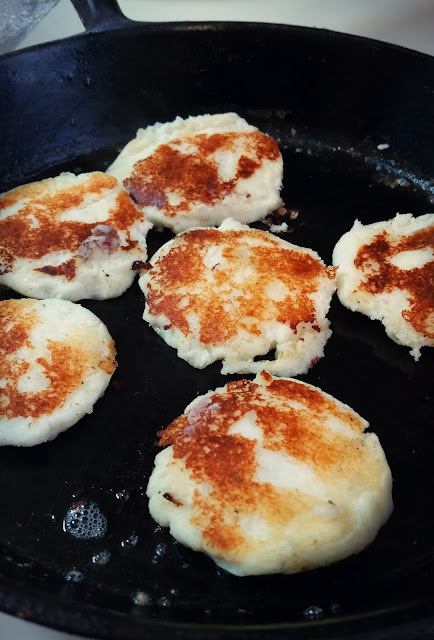 Once you have formed all of the mashed potatoes into pancakes, heat a pat of butter in your skillet over medium heat until the butter is melted and bubbly. I like to cook my pancakes in 2 batches of 5. Gently add your pancakes one at a time. Allow a good crispy crust to form on the bottom of your pancakes. Turn them very gently using a thin turner. Allow the second side to fry until a nice, brown crust forms on this side as well. Add another pat of butter and then fry up your remaining pancakes. 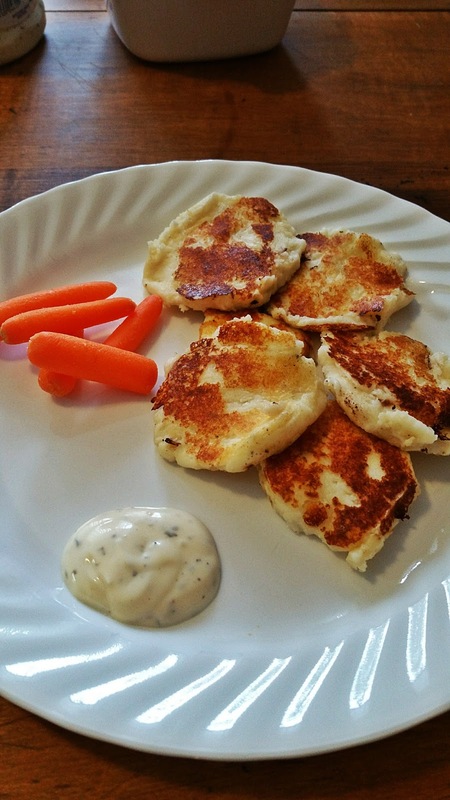 Serve these potato pancakes while they are still hot with ranch dressing or sour cream. They taste like perogies when dipped in sour cream! Yum. ***Hint: This recipe works amazingly well in a cast iron skillet. The crust it creates on the pancakes is just so out of this world flavorful. I would definitely recommend purchasing one if you don't already have one. They are just so versatile and create some seriously delicious food. Amazon has a great deal on a 3-piece set of lovely cast iron skillets right now, check them out HERE (Affiliate Link). What are your plans for the rest of your holiday left-overs? Are you going to make some turkey soup? Let me know in the comments section below, I would love to hear from you! If you liked this recipe, don't forget to 'LIKE' Keen Koala on Facebook for instant access to the latest posts, exclusive content and contests by clicking HERE!